Manipal College of Pharmaceutical Sciences B.Pharm Admissions 2018 process is begun and will be conducted through the online mode. Manipal University offers various undergraduate & postgraduate courses in different fields. Manipal College of Pharmaceutical Science offers B.Pharm and PharmD courses to the students. Manipal College of Pharmaceutical Sciences B.Pharm Admissions will be done on the basis of rank in the All India Manipal Entrance Test (MET) 2018. Interested candidates have to participate in MET entrance exam to get admission in these courses. To appear in MET examination, candidates have to fill the online application form and submit it by 11 March 2018. Candidates can apply both under General and Foreign/ NRI categories. Change of category from Foreign/NRI to General after admission will not be entertained under any circumstances. NOTE: Earlier, the name of the entrance test of Manipal was MU OET which has now been changed to MET (Manipal Entrance Test). Candidates should be an Indian Citizen. Only those candidates whose date of birth falls on or before 31 December 2001 are eligible. Candidates must have cleared 10+2 examination with Physics, Chemistry, and English with Mathematics or Biotechnology or Computer Science or Biology as optional subjects. Candidates must have cleared 10+2 examination with Physics, Chemistry and English with Mathematics or Biotechnology as optional subjects/DPharm or any other equivalent. The candidates who are willing to get admission in B.Pharm & PharmD courses of Manipal University are required to fill the online application form. The admission will be based on the MET. It is a common application form for the admission into various courses in Manipal. The candidates are suggested to follow the link below to apply for BPharma and PharmD. More information about the same can be obtained by the candidates by following the link below. Online: Candidates can pay the application and MET examination fee through Credit Card/Debit Card/ Net Banking. Offline: Candidates can also pay the application and MET examination fee through Demand Draft. The demand draft has to be drawn in the favour of “MAHE”. The candidates to complete the application process will be required to submit the application form. Hence, the candidates are advised to check the details filled in the application form is correct in all manner before final submission of the form. After submitting the form, the candidates are also suggested to take the printout of the form and keep it safe for future reference. Payment of application fee is a part of application process. Hence, the candidates have to make the payment of the Manipal University Application Fee as well as MET Exam Fee. The amount of fee is given in the table below. The application fee can be paid by Credit/ Debit Card or Net Banking etc. Test Syllabus: Physics, Chemistry, Biology or Mathematics, and General English include questions based on the 10+2 Syllabus followed by major 10+2 Boards/ Universities. There are total 50 test centres for MET 2018 first & second attempt and 7 test centres for the third attempt. While filling the application form, the candidates can choose the test centre as per their convenience from the list. The complete list of test centres can be obtained by following the link given below. Manipal Academic of Higher Education offers the scholarships to the meritorious candidates which helps such students to get to their goal. It also helps in providing encouragement to the students in their academic excellence. These scholarships are need-based as well as merit-based. 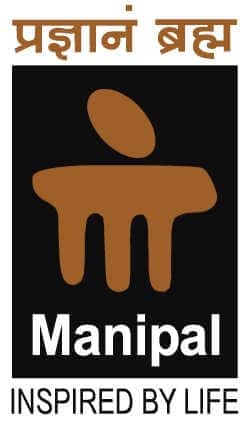 More details about the Manipal Scholarships schemes can be obtained by following the link below.